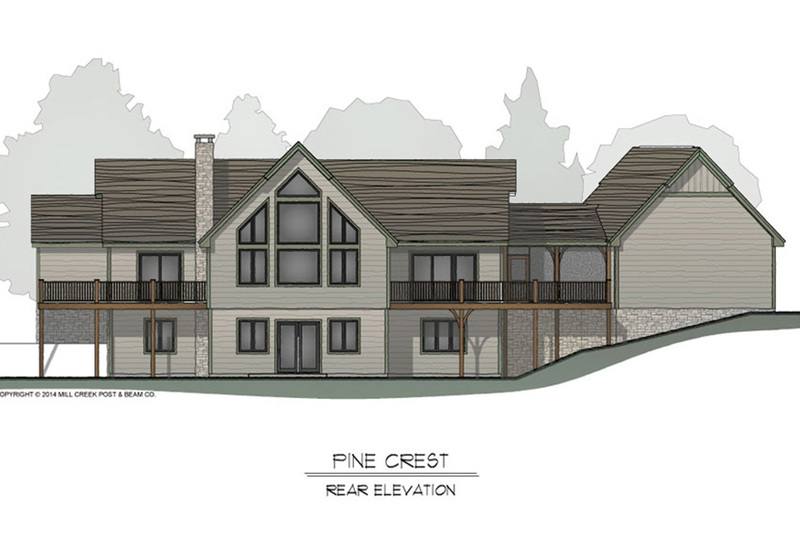 Ideal for homes with a spectacular rear view, the Pine Crest provides terrific vantage points from all of the primary living spaces on every level. 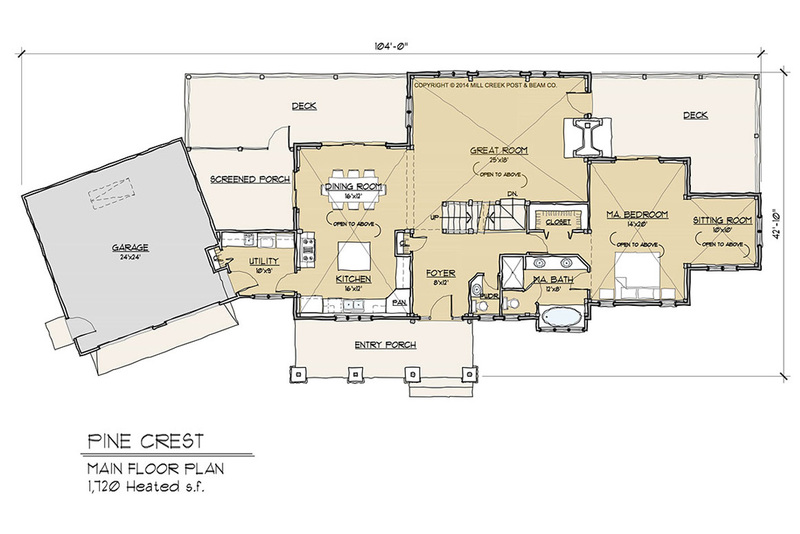 The generous first floor master suite affords an easy, one-level lifestyle. 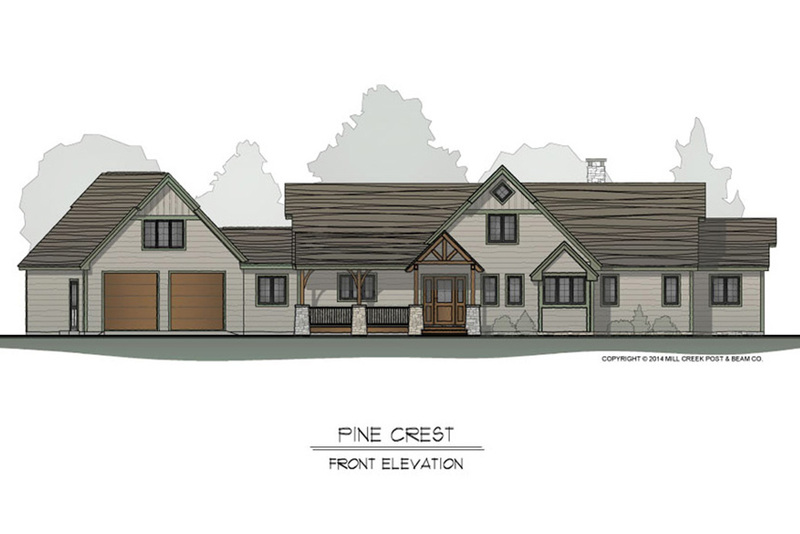 Window walls and vaulted ceilings play up the drama, while decks and porches provide useful outdoor living areas. The second level loft is tucked snugly beneath the timber rafters. 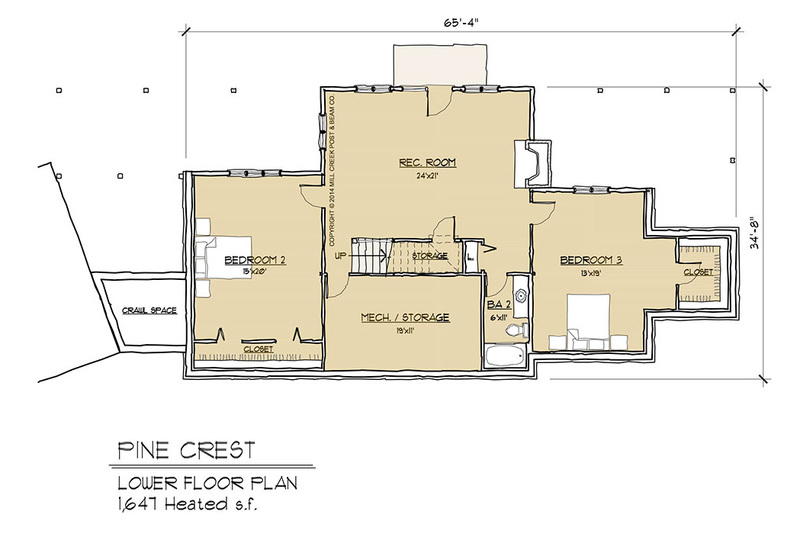 A walk-out basement completes this plan and provides generous recreation and bedroom space. 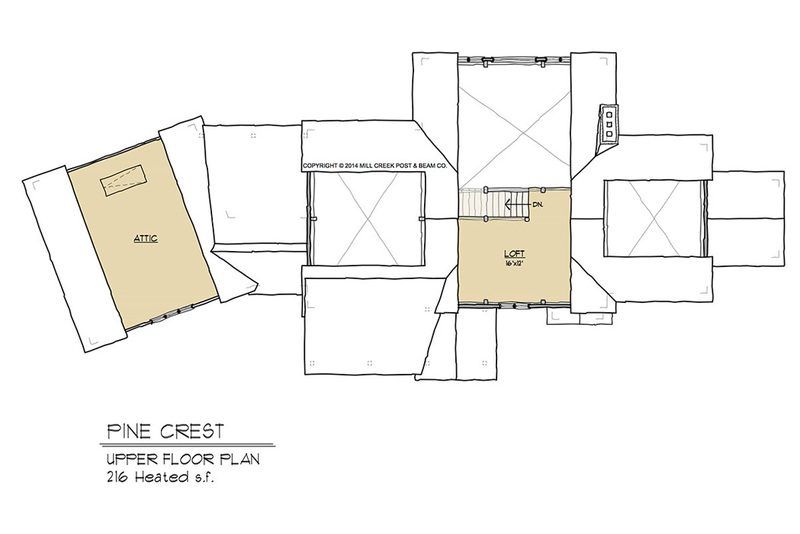 Replace the current master bath with a large walk in closet and convert the sitting area into a luxury bathroom/spa.